His statement makes me wonder? Is Mr. Bennett capable of properly doing his job? How can he be so wrong, or is he intentionally misleading the public? The $100 million to which he refers, is not money that the province has. 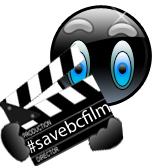 It is money that the province will never have, unless the film producers actually spend $1 billion dollars here in B.C. Only then, will the $100 million he refers to, be paid out, and that would be only a portion of the massive taxes collected from the multitude of local companies, and the thousands of workers employed by those film producers. This is not a grant, not as Mr. Bennett would have you believe, not money taken from the public purse, but a simple rebate of only some of the taxes collected, from a significant economic driver in our province. The many who “would be employed”, won’t be! Without matching the film tax credits, the producers won’t come here, they won’t spend the $1 billion dollars here and many B.C. businesses will suffer, while thousands of workers, many of which are artists, will be unemployed. Mr. Bennett’s $6.25 million in funding will create more artists that will also have a difficult time finding any meaningful work in their field and thus, be unemployed like the multitude of B.C. film workers (23,500 at last count). This entry was posted on Sunday, February 3rd, 2013 at 12:50 pm and is filed under Editorials, National News. You can follow any responses to this entry through the RSS 2.0 feed. You can leave a response, or trackback from your own site. » 2013 » 02 » 03 » Letter To The Editor: Is Minister Bennet Intentionally Misleading The Public About Film Production Tax Credits?